Get $15 off when you buy the Nest Temperature Sensor with the Nest Thermostat E.
The Nest Thermostat E is ready to go with an easy schedule. And with the same proven energy-saving features as the Nest Learning Thermostat, you can save right from the start. The Nest Thermostat E is an awesome little device. 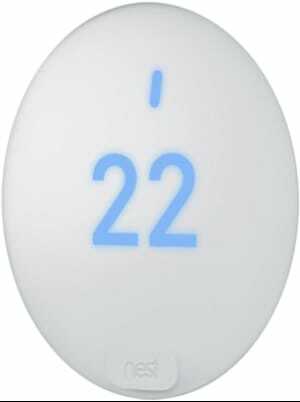 It costs less than the standard thermostat but has all the same features and functionality. It works great with my Google Home smart speakers and in conjunction with my Nest Protect CO/smoke alarms, it can detect when nobody is home and automatically lower the temperature in my house. 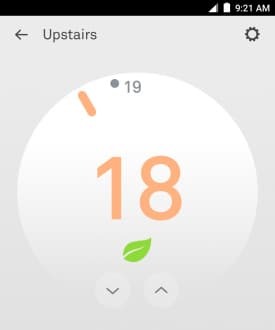 I've had a CO alarm go off in the past and because it was caused by a furnace malfunction my entire house was filling up, so I really like the feature where the Nest Protect will turn off the furnace if there is a CO alarm. This has been a fantastic product and didn't take long to set up. 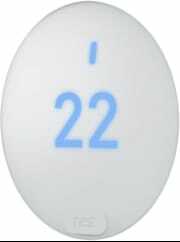 It's able to keep everything at a constant temperature much better than our previous thermostat. It's really easy and quick to use both on the device and on the app. After a week the app seemed to know how I liked my house when I got home from work and adjusted itself for about the time I go to bed to a temperature I like while sleeping. 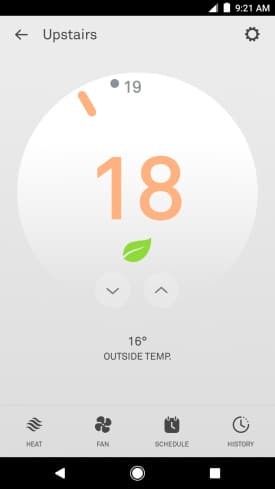 With such drastic changes in weather it was nice that if I wanted the temperature adjusted it would either do it on it's own between the heater or air conditioner or I can manually do it from the comfort of my bed using the app.